This is one piece of cherished muscle car history being the only original 1967 Shelby GT500 Super Snake in the world and now heads to auction. The GT500 was the first big block Shelby GT using a modified Police Interceptor 428ci. 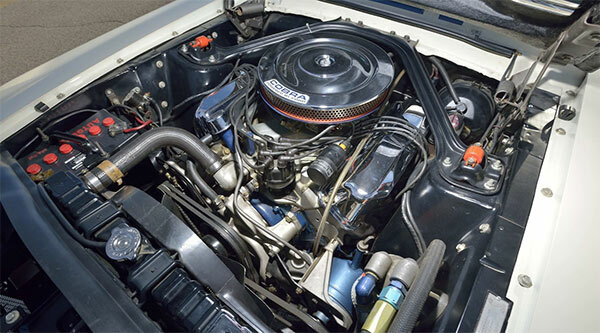 V8 with 355HP and was an immediate hit, outselling the small-block GT350. 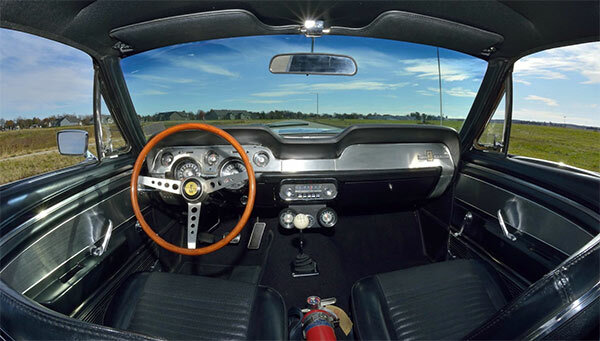 Shelby was a partner with Ford and a West Coast distributor for Goodyear and was approached by former Shelby American Sales Manager Don McCain to build a supercar, with the suggestion of using a racing 427 V8. Shelby instructed Fred Goodell, Shelby American’s chief engineer for the task with the initial tests being done at Goodyear’s high-speed test facility near San Angelo, Texas. GT500 No. 544 was the vehicle of choice with a special lightweight 427 racing engine; special rear axle, special transmission Thunderbolt tires. Essentially everything in the engine was built to perform at a consistent 6,000 RPM and to race at Le Mans. The engine was the same as the GT40 MkII, along with a variation of the MkII’s exhaust system. Shelby 10-spoke aluminum wheels were also fitted with .75-15 Thunderbolt whitewall tires, overinflated with nitrogen for rigidity and to stop overheating. The test was a complete success, hitting 142 MPH average for 500 miles which lead to a limited run of 50 427-powered GT500s. However, the cost was over twice the amount of a baseline GT500 and even a 427 Cobra. This original was then sold to Braniff International Airways pilots James Hadden and James Gorman who added a 4.10 gearset to replace the original 2.73. The car has since had a light restoration with wire and hoses replaced, Rotunda fire extinguisher and replacement wheels and Thunderbolt whitewall tires. 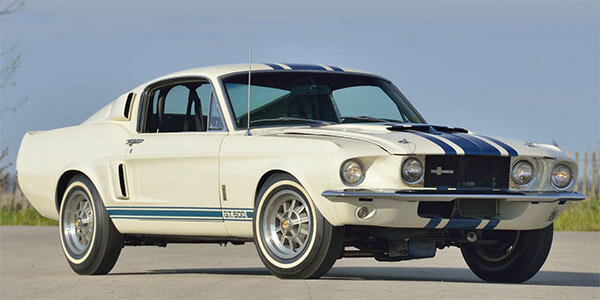 As such a significant part of Shelby history, which has been featured in many magazine articles over the years, it will be very interesting to see what the final sale price will be at this auction.